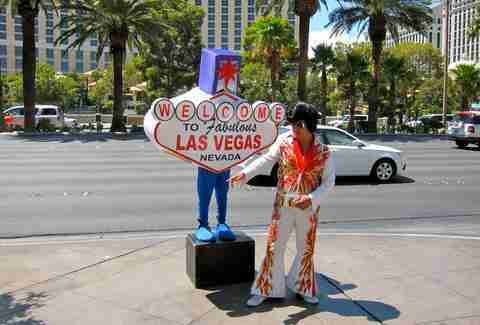 Las Vegas has more going for it than just gambling, strippers, and killer restaurants. It's also incredibly convenient for drivers; there's tons of parking, and the roads actually kinda make sense. 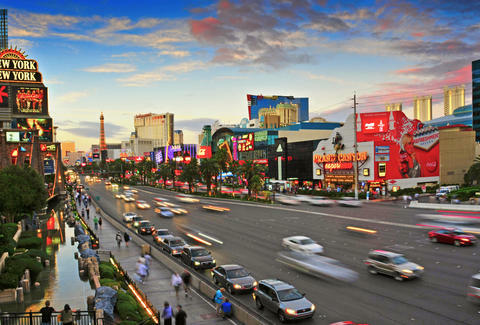 But not everything's perfect… here's what you can expect when you get behind the wheel in Sin City. 1. You get stuck in traffic on the Spaghetti Bowl interchange during rush hour. 3. You get stuck behind a car with a California license plate driving slow. 4. You do your best not to hit pedestrians on Boulder Highway. 5. 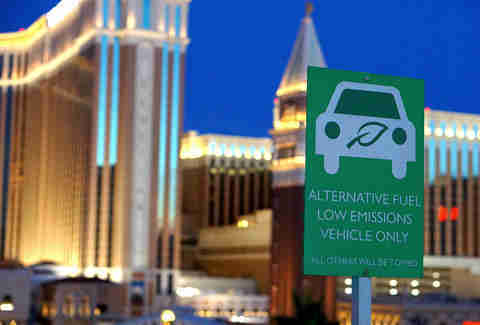 You think you've scored the best parking space at the casino... until you realize it's for electric cars only. 6. You get mad and honk at the car afraid to turn on a flashing yellow arrow. 7. Flamingo? Tropicana? No. You really wish there was an exit from Interstate 15 to Harmon -- to make it easier to get to the ARIA and Cosmopolitan. 8. You forget to park in the shade in the middle of summer. 9. You make the big mistake of driving yourself to the Electric Daisy Carnival between 8pm and 10pm. 10. You remember too late that the Caesars Palace valet is full. It's always full. 11. Turn left for a drive-thru at In-N-Out Burger. Turn right for a drive-thru at a wedding chapel. 12. You miss the westbound exit for the 215 while driving south on Interstate 15. Yeah, you were supposed to veer right at the Russell exit. 13. You wonder why Google Maps and Waze suggest totally different directions on how to get to North Las Vegas. Do you take Rainbow to the 95 or loop around on the 215? 13. You get cut off by a cab while trying to turn off Las Vegas Boulevard. 14. 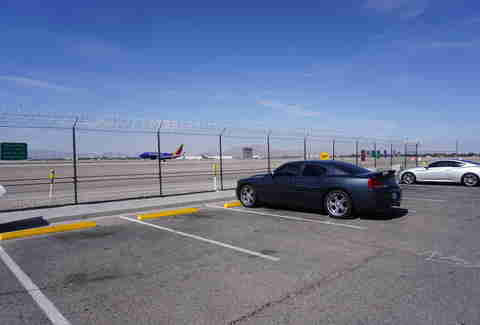 You get the urge to pull over at the lot on Sunset to watch the planes at McCarran International Airport take off. Either you want to take some photos, or you just want to make out. 15. Your view gets blocked by one of those billboard trucks advertising either Penn & Teller or "Hot Babes to Your Room." 16. You get lost trying to navigate the side streets near the Strip. Taking Frank Sinatra Dr seemed like a good idea… until you spent 15 minutes trying to figure out where to turn off. 17. 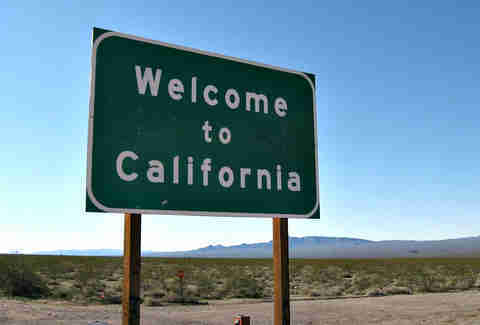 You fill up your car at the last gas station before crossing the California state line. The prices are jacked up, but you still think you're getting a deal because… well, it's still Nevada. 18. You're overdue for a smog check. How much does that gas station charge? 19. You pass into the right hand lane -- and find yourself behind a scooter. 20. You pull up to a flooded intersection during monsoon season... and drive through it anyway when the cars behind you start to honk. Be careful. There's a reason those commercials say "turn around, don't drown." 21. You fail to impress your date when you tip the valet. Try not to be stingy next time. 22. You park at the Palazzo when you really meant to park at the Venetian. 23. You park at the Venetian when you really meant to park at the Palazzo. 24. Someone in the cab in front of you is holding their phone out the window, hoping to get a photo of Every. Single. Thing. On. The. Strip. You not-so-secretly hope they drop the phone. 25. You lost count of all the billboards you drove past with DJs on them. 27. 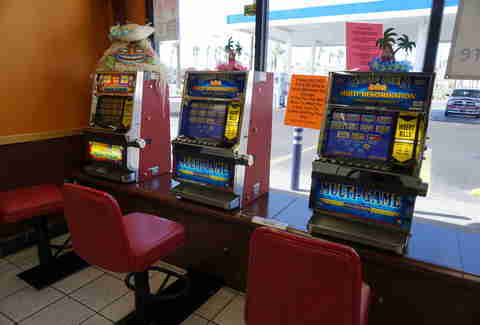 You appreciate the absence of toll roads in Las Vegas... and then pull over at a gas station to blow your money on a slot machine. 28. You still think all those stoplights on the 215 Northern Beltway are odd and out of place. 29. You stop in Baker during your road trip to California... just so you can eat a gyro at the Mad Greek Cafe. 30. You stop in Primm on your way home from California... just so you can eat a gyro at the Mad Greek Cafe. 31. You try not to hit any people on the sidewalk when leaving the Cosmopolitan and turning onto the Strip. 32. Watch out for street performers crossing the road. 33. You're suddenly stuck in a construction zone that didn't exist yesterday -- all funded by a gas tax. Er, excuse us... "fuel revenue indexing." 34. 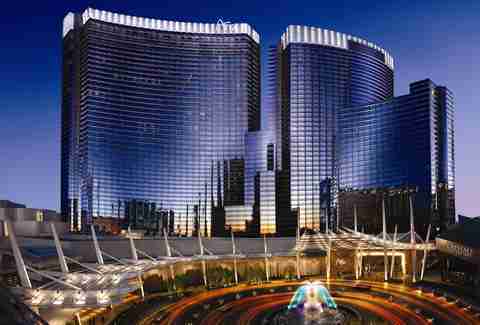 You forgot the Mandarin Oriental is valet-only. 35. 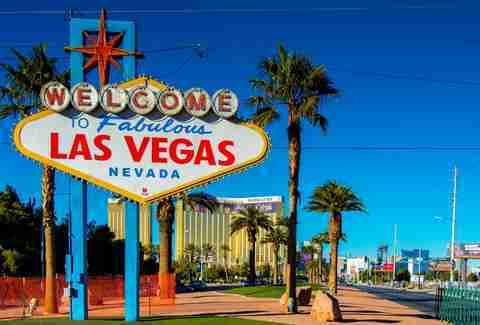 You pull over at the "Welcome to Fabulous Las Vegas" sign... but only when your parents are in town. 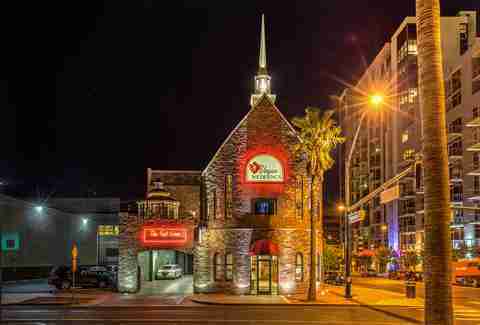 Rob Kachelriess has been writing about Las Vegas for Thrillist for more than three years. He just replaced the side mirror on his Hyundai Genesis. Follow him on Twitter @rkachelriess.